Her chequered career includes working in a bookshop, in housing, as a teacher and photographer. At GC she's done almost every job and was one of the first urban growing trainees. 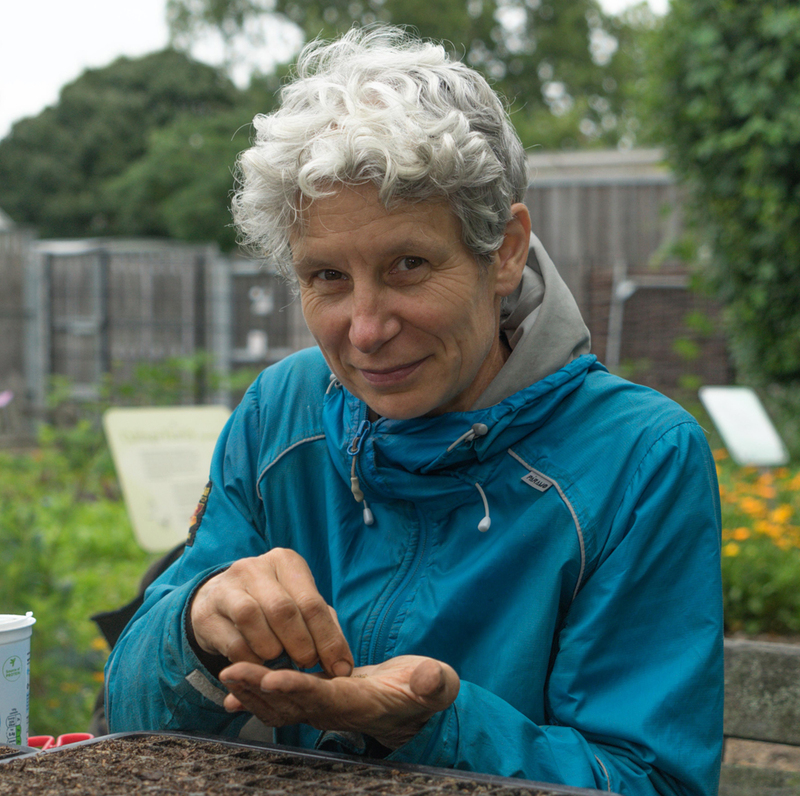 She has been the grower in Hackney since 2015, managing the market gardens in Clissold and Springfield Park, working with volunteers, overseeing the Patchwork Farm and training new growers.